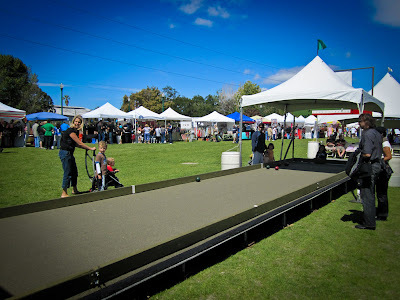 The Los Gatos Brewing Company is Coming Downtown! The former home of A.P. Stumps has been empty for far too long. By Oct. 15th, The Los Gatos Brewing Company will take the helm of this flagship 2-story, 15,000sqft space and hope for a better outcome than their predecessor. The majority of the restaurant will be on the second floor while the first floor will be used for private dining and al fresco dining. For more information, click here. 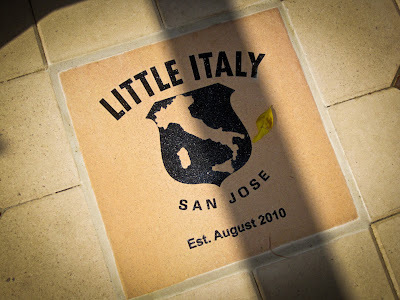 San Jose / Twenty-One has a great post about the new Little Italy project in San Jose, along with a few photos. I'll also post my several of my own photos on Monday. 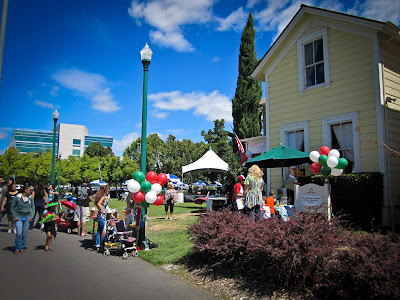 It's still not too late to catch the Italian American Family Festa that is going on today at Guadalupe River Park next to what will soon become Little Italy! "It's not about developing, it's about restoring." 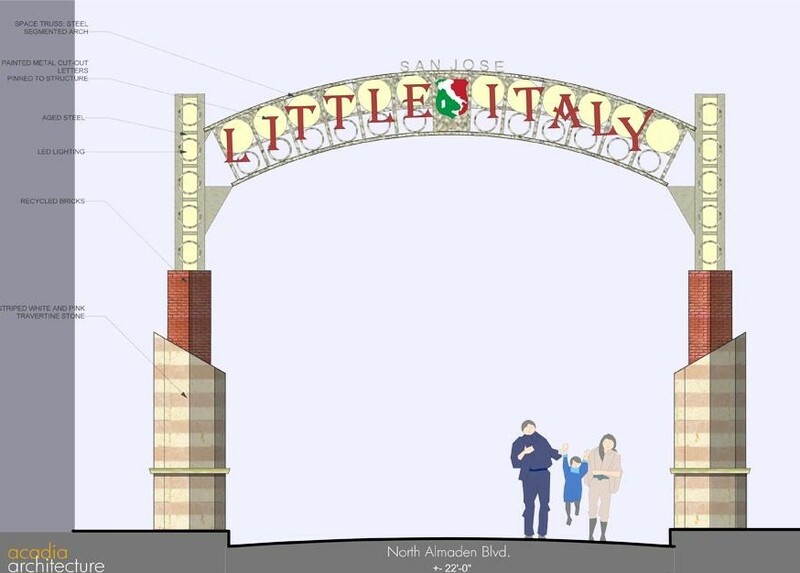 That's what developer Joshua DeVincenzi Melander says is the true intent of city's new Italian-American community, Little Italy San Jose. 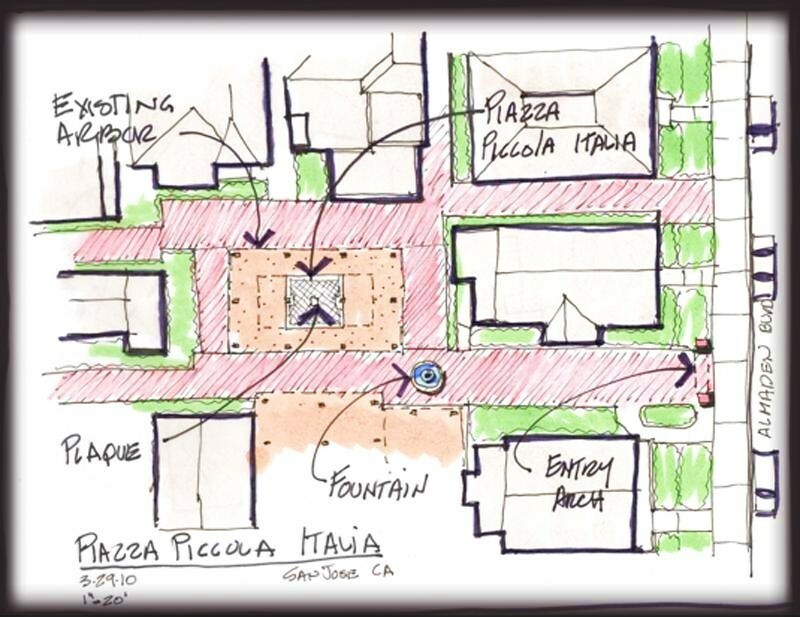 An Italian wine bar will soon be in place at the main piazza. Anchored in the River Street neighborhood, once a bustling Italian immigrant enclave, this new Little Italy will, in a sense, be an amalgamation of several of San Jose's oldest Italian communities (e.g. Goosetown, Luna Park) which the city either destroyed or neglected over the years. At one time, Italians were the city's largest ethnic group, so this new effort is more about bringing back what the city had (and lost) than creating something from scratch. An archway on Julian will soon welcome visitors. Like nearby San Pedro Square Market, Little Italy is ambitious in its scope. 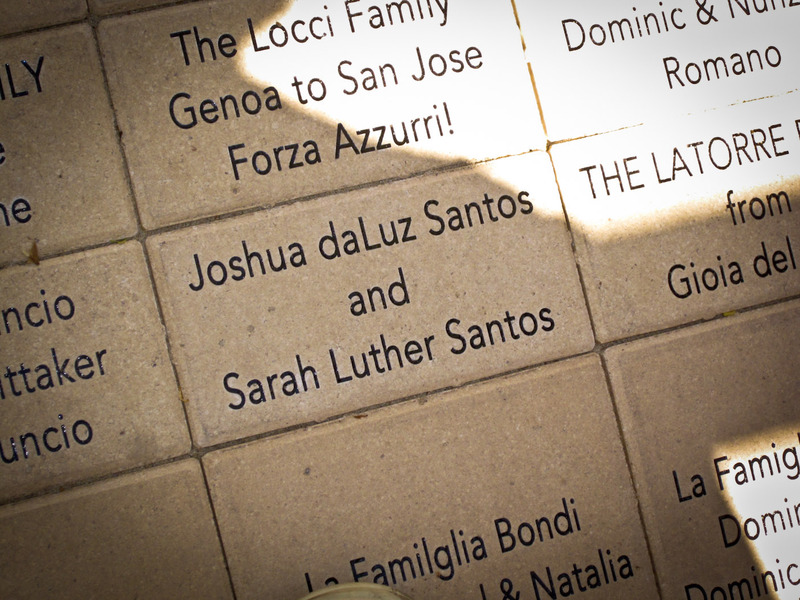 And yet, when completed, San Jose's Little Italy will feel very personable. 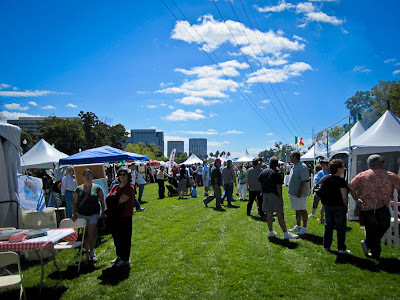 Unlike the expansive Little Italys of New York City or Chicago, San Jose's occupies a relatively small space, primarily between River Street and The Guadalupe River Park. 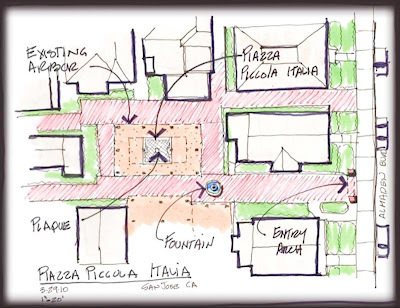 When completed, Little Italy will feel like an intimate Italian community. 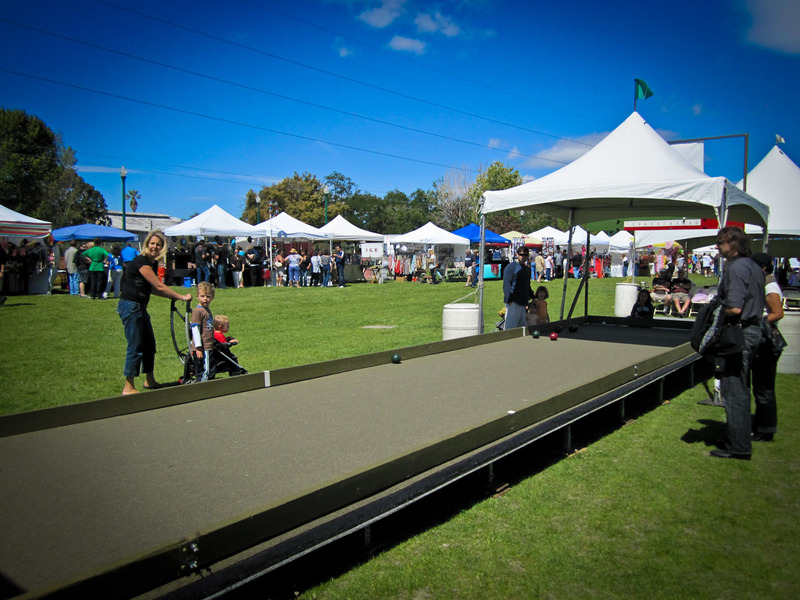 The intent here is here to create an authentic neighborhood experience with a string Italian-themed businesses, such as restaurants, gelaterias, and wine bars, as well as piazzas, archways, and bocce courts. One important milestone for both Little Italy San Jose and The Italian American Heritage Foundation of San Jose comes this weekend with theItalian American Family Festa (Saturday, August 28, 11 AM - 8 PM and Sunday, August 29, 11 AM - 6 PM; admission is free). This year the festival moves to its new home, adjacent to Little Italy, in the Guadalupe River Park. It is also its 30th anniversary, and will include the unveiling of the Piazza Piccola Italia. 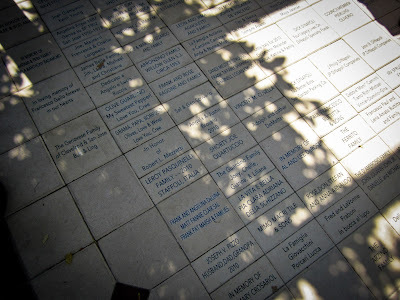 For the piazza, Little Italy solicited donations from the city's Italian-American community, who, in return, had personalized bricks placed into the design of the courtyard. 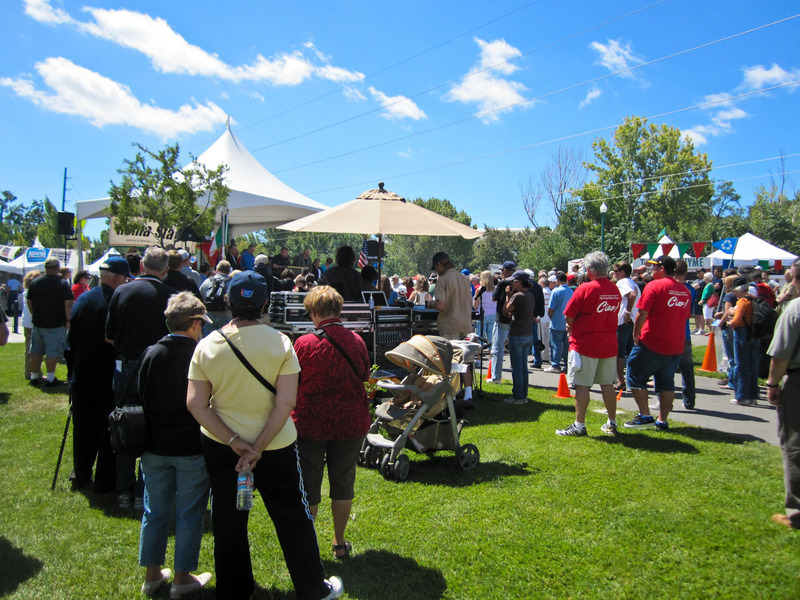 The Piazza Piccola Italia will be dedicated this weekend. 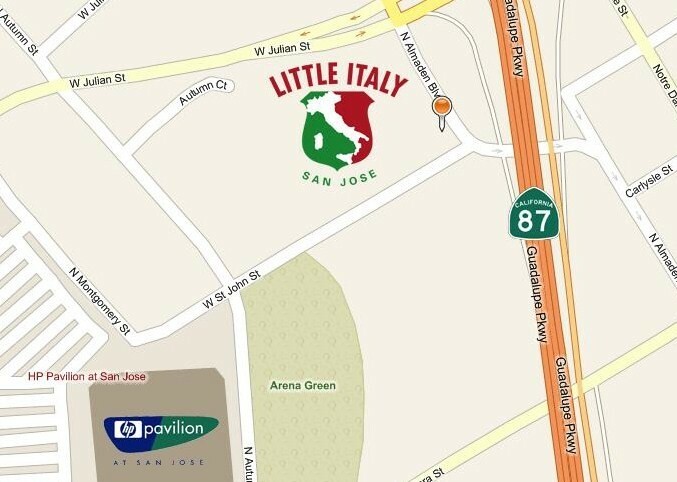 Little Italy is definitely a project to keep an eye on. It certainly has its work cut out for it, but the project certainly seems to be in loving hands. Speaking to Joshua DeVincenzi Melander, you quickly get a sense of the cultural pride that runs deeply through the project. They clearly intend to do this thing right. And they're off to a great start. Interested in getting a taste of what it would be like to live on the 21st floor of a high-rise right in the middle of Downtown San Jose? Tomorrow is your chance at The 88, just register using the link below! 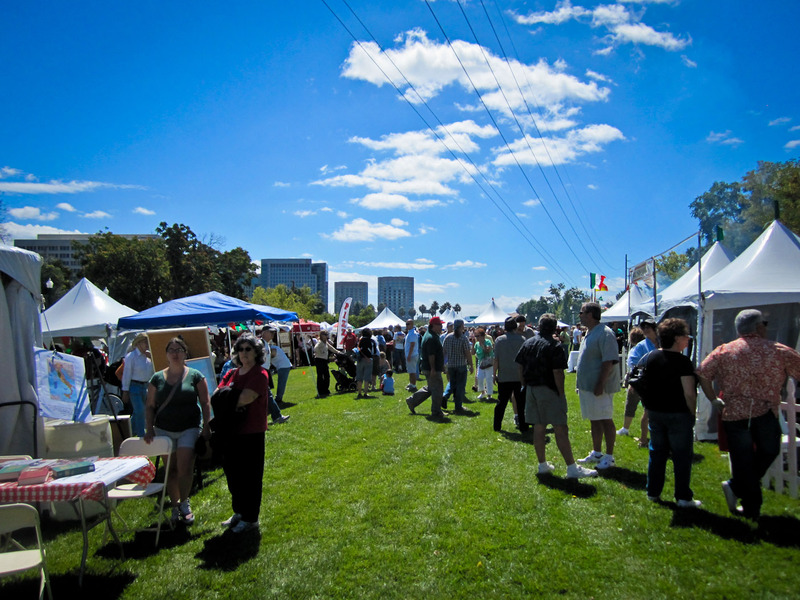 cocktails, hors d'oeuvres, music and tours! 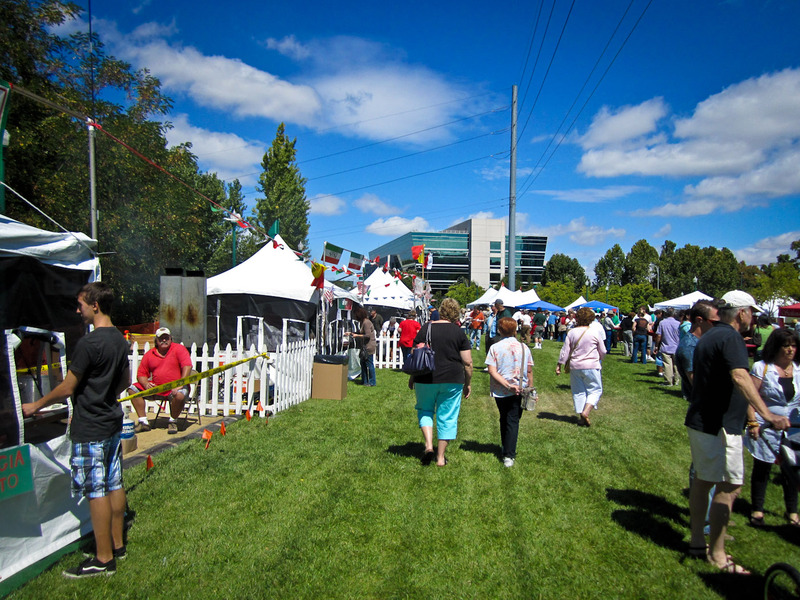 Summer has finally descended upon the Bay Area and we are excited to celebrate its arrival! Join us next Thursday on our Skyline Observation Terrace to savor a cocktail and the best views in Silicon Valley. Brace yourself for the second annual Zombie-O-Rama in Downtown San Jose! 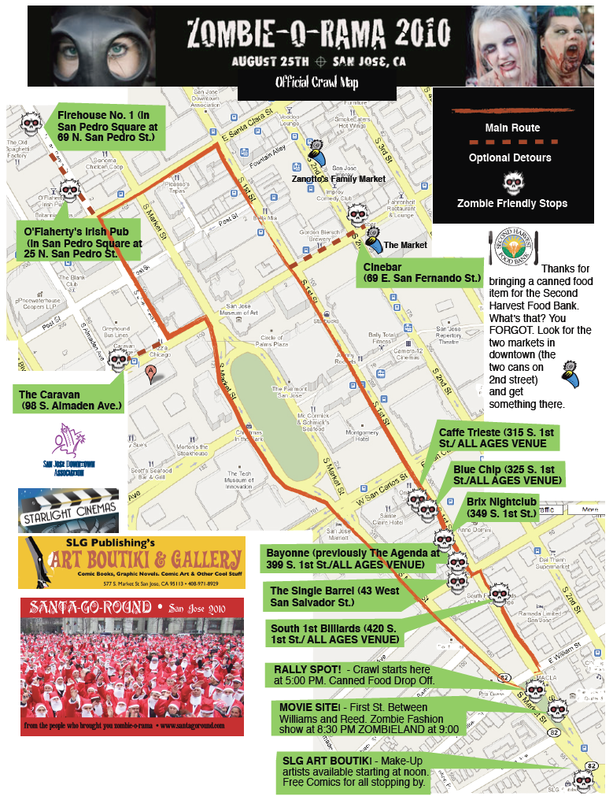 If you thought staggering around Downtown San Jose dressed up as a zombie was reserved only for Halloween, guess again. Tomorrow hundreds, if not thousands, will gather up in SLG Art Boutiki at the tail end of SoFA and march throughout downtown starting at 5pm. Dress up and enjoy discounted libations in bars highlighted below. 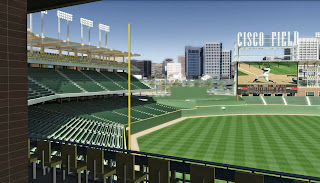 Baseball San Jose has NEW A's STADIUM RENDERS! 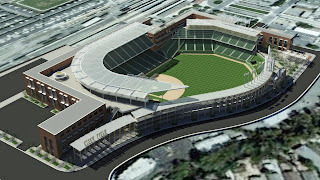 Our friends over at Baseball San Jose have a killer treat for you today... more stadium renders! 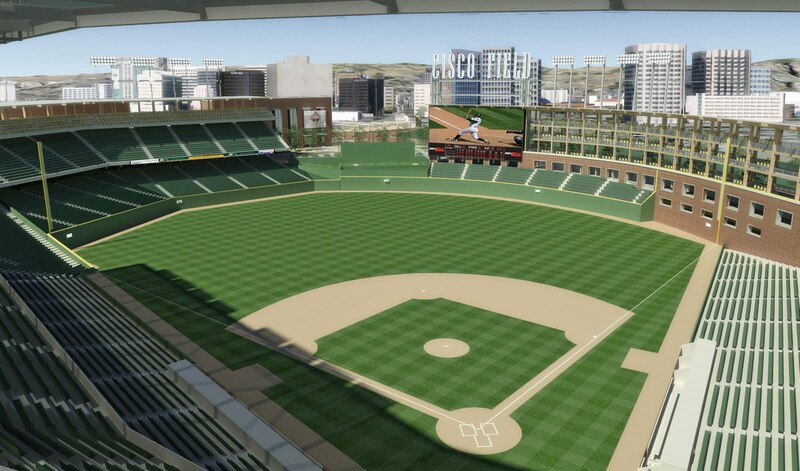 My favorites are the first and fourth ones--if you click on them to enlarge, you can get a good feel for the view inside the proposed ballpark. 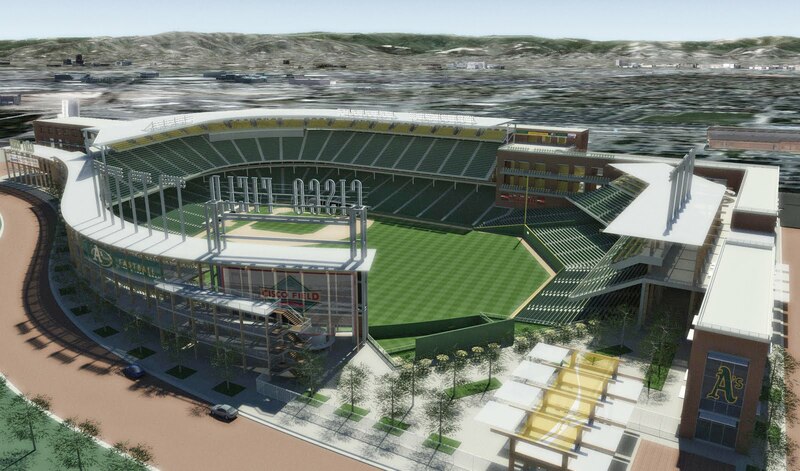 To help make this dream a reality, head on over to Baseball San Jose to find out how you can contribute! (San Jose, Calif.)—Famous Dave’s, the award-winning Bar-B-Que restaurant known for its barbequed and grilled meats, sandwiches, side items, salads and unique desserts, is opening its first location at 61 Curtner Ave. in San Jose on September 20. 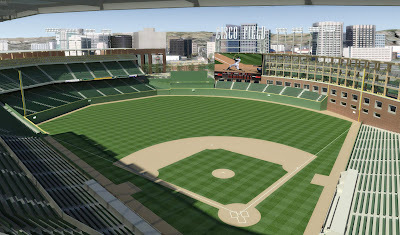 The opening will be under the direction of Anand Gala, president and CEO of Gala Corporation, one of the leading privately-owned hospitality and food services companies in the United States, widely recognized as a first-class developer and operator of hospitality and food service assets. 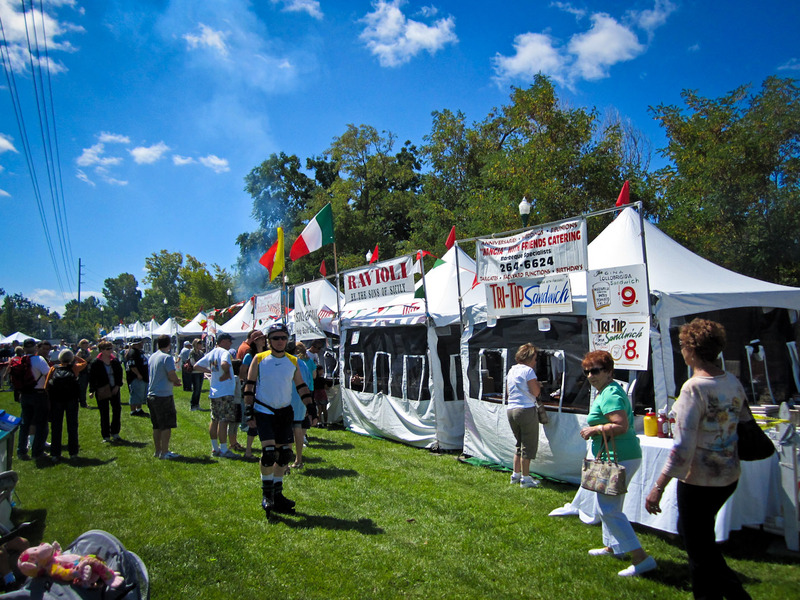 Gala Corp operates 27 existing restaurants including Applebee’s and Famous Dave’s BBQ restaurants throughout California. 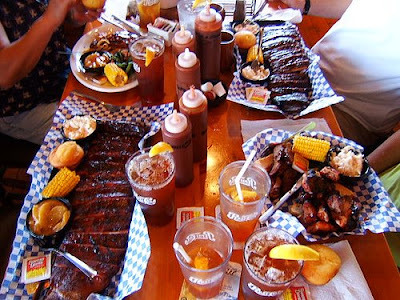 In 1994, Famous Dave’s Bar-B-Que opened its first restaurant in Hayward, Wisc. and introduced its cuisine to the world. 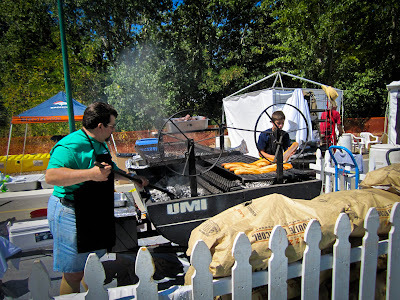 Fifteen years later, the award-winning chain has grown to more than 175 locations. Gala Corporation has plans to continue this trend and expects to open additional restaurants in the next several years with growth coming from its existing brand portfolio and/or other concepts. This will be Gala’s sixth Famous Dave’s location in the California market. The first Fresh & Easy Grocery Store in the South Bay is coming early next year to a former Albertsons on the corner of Bird and Minnesota and will be between 13,000 and 14,000sqft. Fresh & Easy Markets focus on fresh and organic foods. Click here for more details. After 15 months, we're still alive and kicking and on our 300th post! Thank you to all of the SJ enthusiasts out there that make updating this blog worthwhile. I would also like to extend an invitation out there to anyone that is interested in putting up their own San Jose-related blog posts here OR syndicating their posts from other blogs. If you look to the left or right, you'll notice no ads. 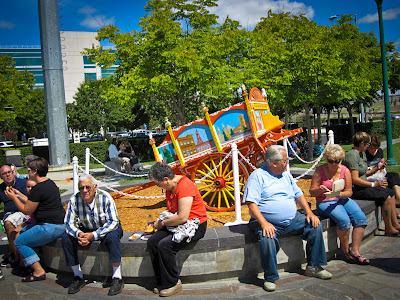 This blog's primary goal is advancing San Jose's many attractions, culture, and international visibility--all are welcome to contribute to that goal. 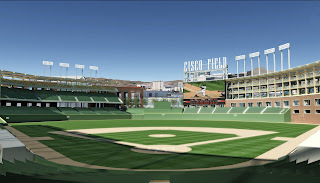 Just shoot me an email at josh@thesanjoseblog.com and I'll get you all set up! Thanks to Thomas Wohlmut for the tip! Veggielution Now Part of the Downtown San Jose Farmer's Market! JoAnn Freda just posted some good news on San Jose Metblogs... Veggielution is now part of the Downtown Farmer's Market! This should hold over fans of San Jose-grown produce until the San Pedro Square Market opens up. Veggielution Community Farm is now selling at the Downtown Farmers Market every Friday from 10-2 until December 14 (closed the day after Thanksgiving). 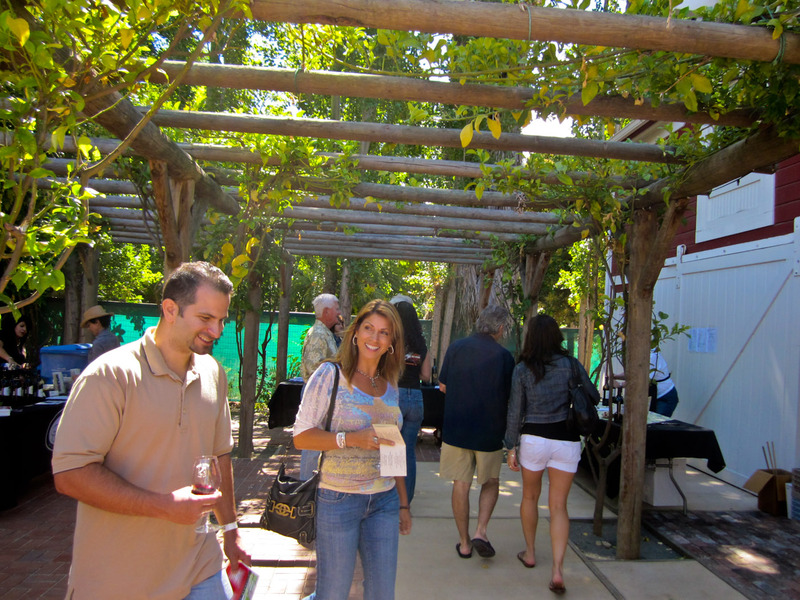 This means we now have access to the most local and sustainable produce in San Jose. For two dollars you can buy a beautiful bunch of basil that was picked just two hours before you bought it. In addition to heirloom tomatoes, Veggielution has a variety of unusual and heritage vegetables which means you may find something you’ve never seen or tried before. The proceeds from Veggielution’s farmers market stand go to support programs such as Veggie Youth and Family Day. So look for their colorful display of approximately 100 pounds of freshly picked produce that has travelled a total of 3.5 miles to the market. 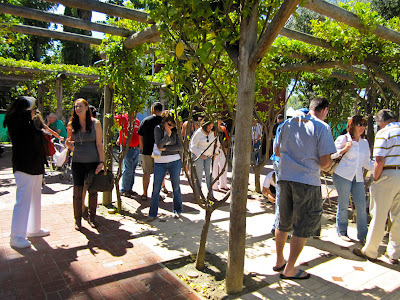 These satisfied customers are walking away with a Sugar Baby watermelon. I recently ran into this article on The 88. Interesting read, especially since it is written by a former San Franciscan. Here's my favorite quote: "San Francisco isn’t the only urban option for the Bay Area. 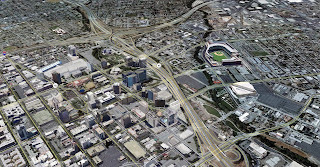 San Jose downtown is a newer, cleaner, safer urban option for the Bay Area." Click here for the full post. Satori Tea - Ribbon Cutting Ceremony! My new favorite tea shop announced that they are having their ribbon cutting ceremony on Aug 20th at 10:30am! Swing on by to celebrate their opening and enjoy some Free Masala Chai and a 10% discount off tea & teawares.